Here at PURI we believe Kidneys are the unappreciated body organs. We here allot about the heart, but rarely about the kidneys. 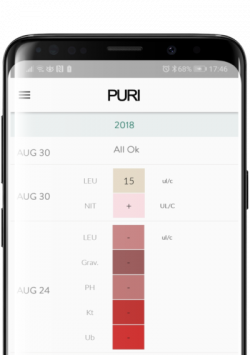 The PURI urinalysis app helps patients with Kidney problems to monitor their Urine to help them understand their Kidney Health. 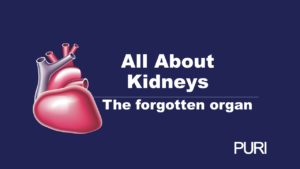 In this article we explain some key facts about the kidneys. You have two kidneys that are located each side of the spinal cord just below the rib cage and rest against the back muscles. Given the liver sits on the right hand side of the body, the right hand kidney sits a little lower down than the left hand kidney. As the kidneys are located towards the back and below the rib cage the kidneys are not well protected. The kidneys can be damaged due to impacts to the back. This can happen during falls, sports or vehicle accidents. Given the location in the lower back kidney pain can be confused with back pain. The kidneys main function is to filter the blood and remove waste products and excess water from the blood supply. They also have a very important function in maintaining the balance of proteins and other molecules which are important for the health of the body.